Update (7/16): The EaseUS giveaway has come to an end and we've contacted the winners. Many have already responded and received their activation code for either Todo Backup Home or Data Recovery Pro. Make sure the email address in your TechSpot account is up to date because that's how we are reaching out to winner members. Congratulations go to: Humza, VitalyT, dirtyferret, TomSEA, stewi0001, pawel04, Mugsy, ikesmasher, Win7Dev, domyz, Kenrick, OcelotRex, RelentlessPry, captaincranky, Misagt, willisgreg88, davislane1, CrazyDave, asclepius, JaredTheDragon. Stay tuned, a new giveaway is coming in the next week or so! The generous folks at EaseUS would like to offer some free software to TechSpot readers, and we couldn't say no. So here's your chance to win a free license of their well regarded Data Recovery Wizard Pro and Todo Backup Home software. Both applications are often praised for their simplicity and ease of use. 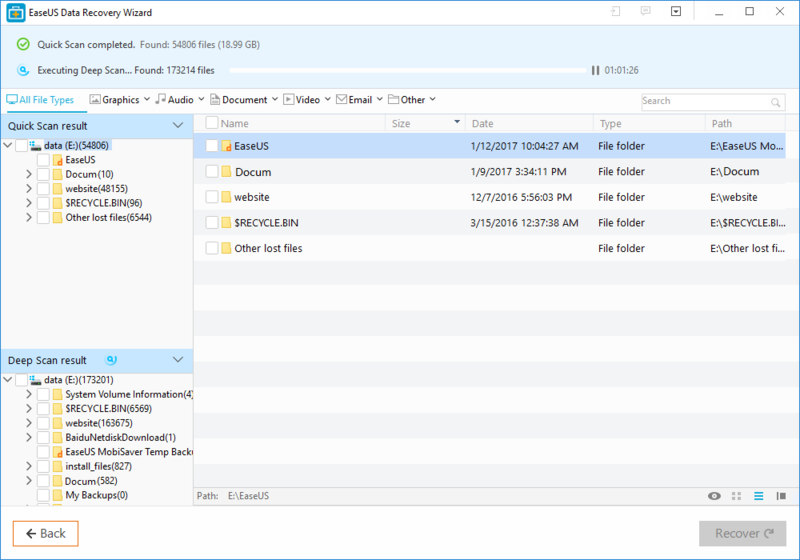 Data Recovery Wizard Professional as you can imagine helps you recover deleted files and documents from any storage device (SSD, HDD, USB, RAID, etc. ), but it goes beyond simple accidental deletion by offering recovery from formatted disks/partitions, or from damaged inaccessible data when feasible using its raw discovery tools. EaseUS Backup keeps you on the safe side offering full, differential, incremental and scheduled backups of your entire system, on a per drive/file/folder basis, it supports cloning/recovery, custom backups of your Outlook email, all while working in parallel with cloud storage providers like OneDrive and Dropbox. Entering the drawing is easy. First, post a short comment in this story to confirm you're included. Second, keep posting in news and forum comments during the course of the following week. We'll be monitoring all comments for the most insightful, funny, or otherwise interesting posts. The best 20 comments will get a license, simple as that. That's it. The giveaway is open for a week until next Wednesday, July 12. If you get liked by one of our staff members or en masse by fellow readers, that's a good sign. Winners will be notified via email the day after the contest is over. First responders will get to choose which of the two software titles they prefer, first come, first serve. Good luck!